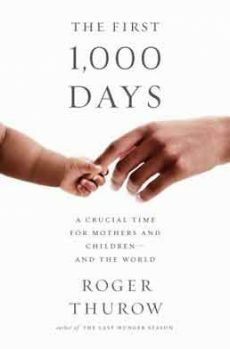 In his new book, The First 1,000 Days: A Crucial Time for Mothers and Children – and the World, journalist Roger Thurow chronicles the obstacles that women face around the globe. He takes us to the western highlands region of Guatemala, where women can’t afford to eat the locally grown fruits and vegetables, and they struggle against parasites and a lack of clean water. We also meet young women in rural Uganda, where the infant mortality rate is disturbingly high. Basic essentials are hard to come by and mosquito nets are used to fend off malaria.